A sports betting system is basically a collection of repeated strategies or tactics that a sports bettor uses to make the correct predictions. Any set of parameters you come up with to help you pick potential winners is a betting system. The betting system can be simple or complex. Believe it or not, betting systems can become even more complicated by using complex formulas to predict winners and calculate the value of the bet. In addition, betting parameters can consist of as few or as many parameters as the bettor deems fits. These parameters include things like team stats, weather conditions, wins/losses, playoff implications, game location, stats of individual players, or anything the bettor believes will affect the outcome of the event. One of the most logical questions that people often ask is “how do you create a betting system?” They are actually created by either a professional bettor or an ordinary bettor like you. You are likely not to find these systems posted somewhere at online betting portals. This is because the effectiveness of the systems diminishes when everyone is jumping on the bandwagon whenever there is an opportunity. As such, anyone who creates a winning system will often keep it to themselves. They may also sell their picks, but they will never allow you to know how their system works. As you probably know, creating a winning betting system is not easy. Think of it this way: if it creating a betting system was that easy, betting would not have any value because everyone would be winning every single betting opportunity. It would be almost impossible to make money through betting unless you were the quickest bettor. Betting systems come in different shapes and size, and the tips below with be somehow general but will take you towards the right direction. And it is going to be up to you to find stats and look up important trends and factors that you believe are important to picking potential winners of any sporting event. The first logical step you need to take to develop an effective betting system is to decide on the sport you want to bet on. If you are just starting out, it is recommended to stick to one sport. Choose a sport you understand more. Although this might seem like common sense, you would be surprised at how many bettors choose sports that are in season or even those that they want to be good in. Well, if you only want to have fun, then you can choose any sport. But if you want to make some money, you have to choose a sport you understand better. Once you get the hang of it, you can expand your horizon, but only if you are comfortable doing so. Statics should be your first and last stop when developing a betting system. Create a list of things that are important when choosing the likely winner of a game. You can actually assign a percentage of importance to all the factors affecting the outcome of a sporting event. You can then mathematically determine the chance of a team winning the game. When looking for stats to use, make sure that there is a source where you can easily find these stats as fast as you need them. Also, make sure that you are getting your statistics from an accurate source. The last thing you want is to create a betting system using inaccurate stats. As you continue finding important details, you need to start creating a formula or checklist. If you decide to go with a checklist, it is important that you focus on the criteria that work together and which ones don’t. You may come up with different checklists you should try. Thereafter, you can remove which ones work and which ones don’t. If you are creating a mathematical formula, start by assigning the importance of each. If you are not sure about the percentage and you want to come up with a few formulas to test, you don’t have to worry. With your preliminary checklist or formula in place, the next step is finding games that meet your criteria and begin testing your system. There are two ways to go about this depending on your individual preference. You can start by creating a spreadsheet to track your bet without placing the actual bets. This will help you to differentiate between bets you would place and those you would not bet on. Using a spreadsheet will help you to avoid losing money if your betting system isn’t a winner. You will also be able to test out several systems at once without the risk of losing a lot of money. However, the downside is that if you have developed a winning system, you will not be able to make money off it. You can also use the system to place small bets. This way, you will be able to see if your system has any issues when your cash is on the line, giving you the chance to make money if the system is good and add some entertainment value to your betting experience to prevent you from going crazy. Betting systems offer a great way of adding structure to sports betting and stress-free means of crushing the books. 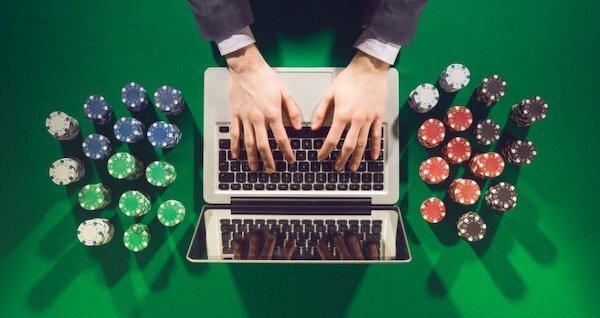 There are many benefits that come with developing your own betting system, but it comes with a lot of hard work, some expertise and research. If you want to take your betting to the next level, you need to develop a betting system.